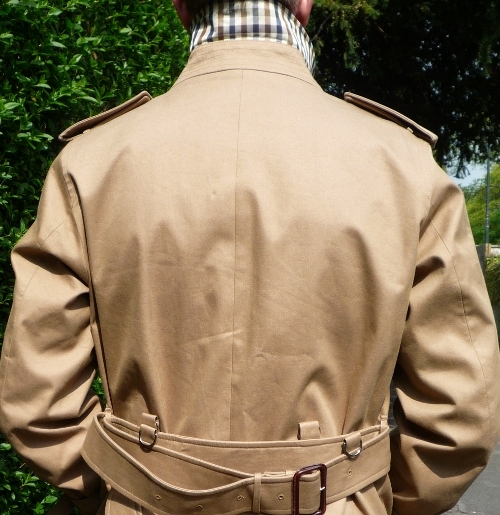 Right-thinking mods, with their eye for detail, will always keep a trench coat in their armoury. 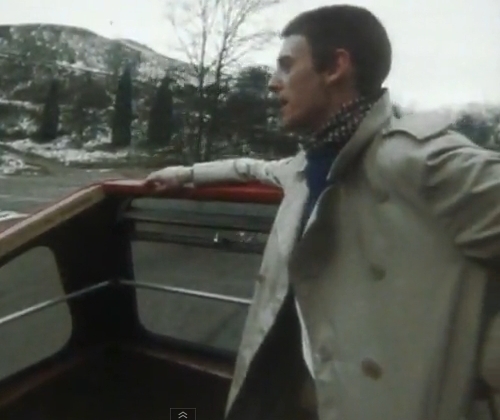 Paul Weller's been wearing variations on the trench for many years. 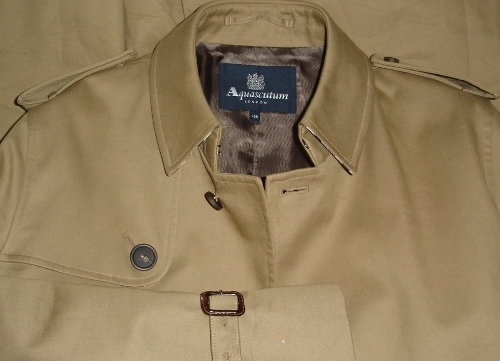 The trench coat I'm wearing here is a tan-coloured example by Aquascutum (meaning watershield). 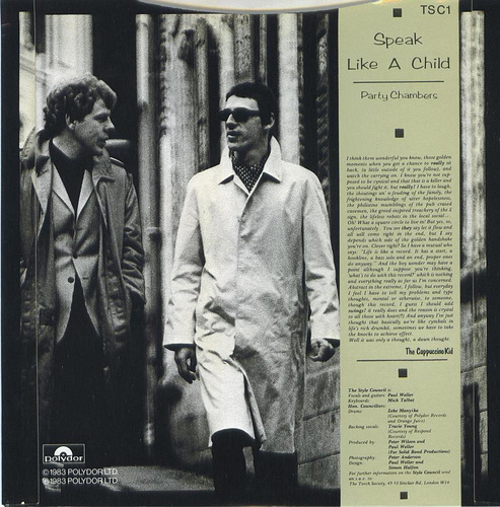 Incidentally, I think Weller's wearing an Aquascutum scarf in the top photo. 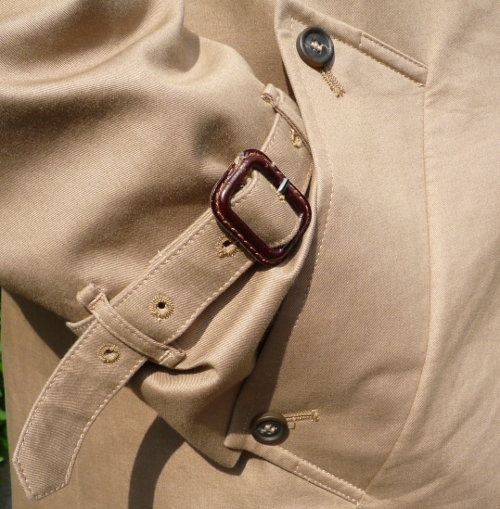 Made in Italy, this coat isn't made from a fully-waterproof rubber-bonded cotton material, rather it's a heavy but soft cotton that will resist a decent shower. The coat has epaulettes, single vent, waist belt and cuff straps with leather buckles, and a storm flap over the shoulders to the front. 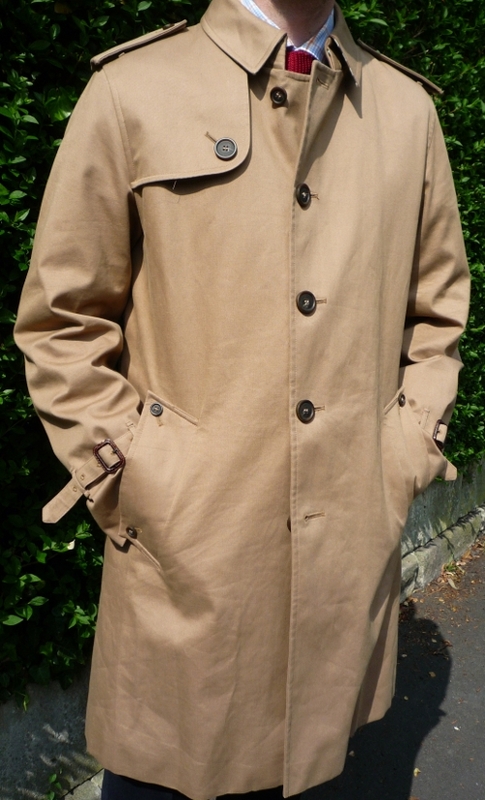 It's pretty thick and lined, so more of a coat for the colder months. 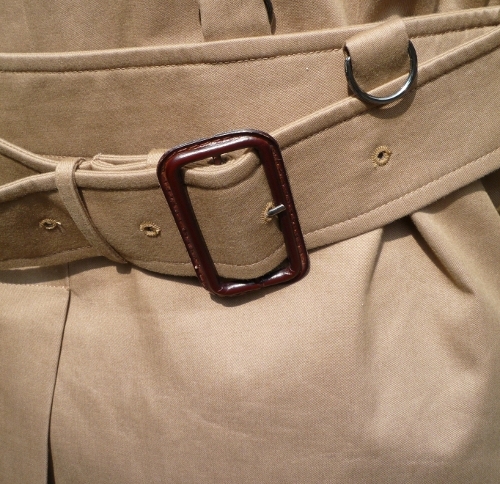 It has some D-rings on the belt as a throwback to its military history too.